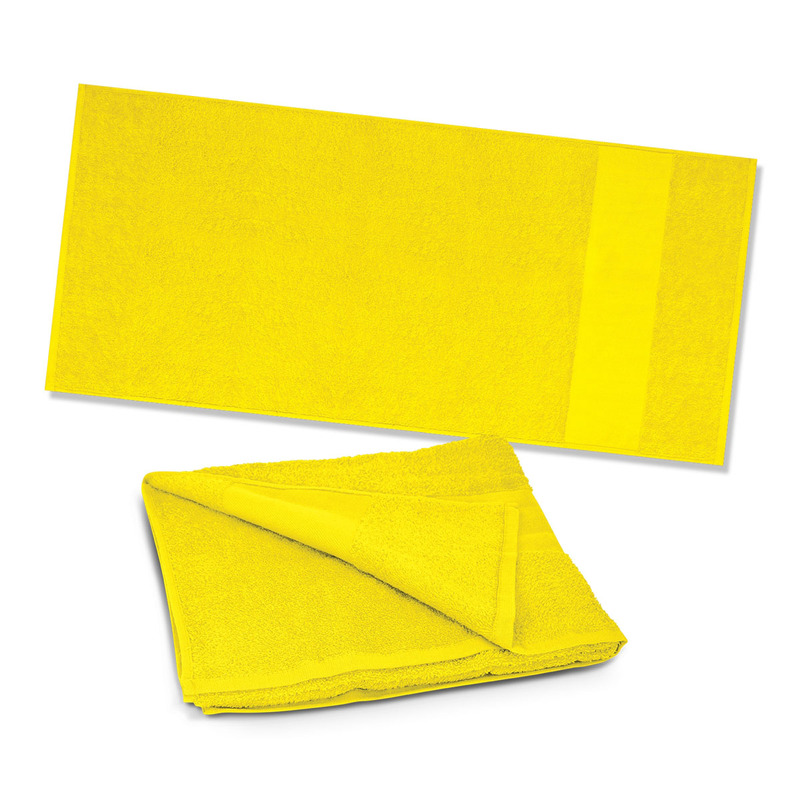 A brightly coloured promotional beach towel waiting for your logo to call it home. Slip, slop, slap and head down to the beach with one of these eye-catching towels handy. 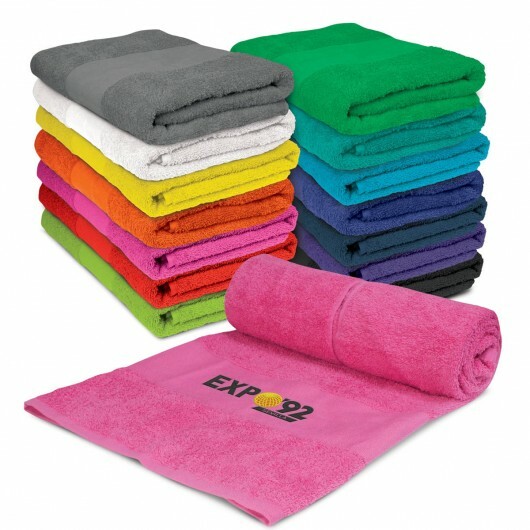 They're made from soft 420gsm cotton terry towelling and feature a custom decoration of your logo or message. They have a smooth fret area on both sides which is where the branding is located. The towels measure at 140cm x 70cm.